So as a mom of two beautiful little girls, a hubby to be best friend to, a house to clean and a blog to run, I need a system to organize my life. I am constantly trying new time management systems to see what sticks and what works well for me. And I encourage you to do the same! I love using my post it note calendar but I know that many mommies would like a smaller version of it (more to come on that soon!). And I also enjoy using my Google calendar but feel confined to its layout at times. I need something a bit more flexible. So I was browsing Pinterest, like many others, probably you too, and I saw professionals use bullet journaling. 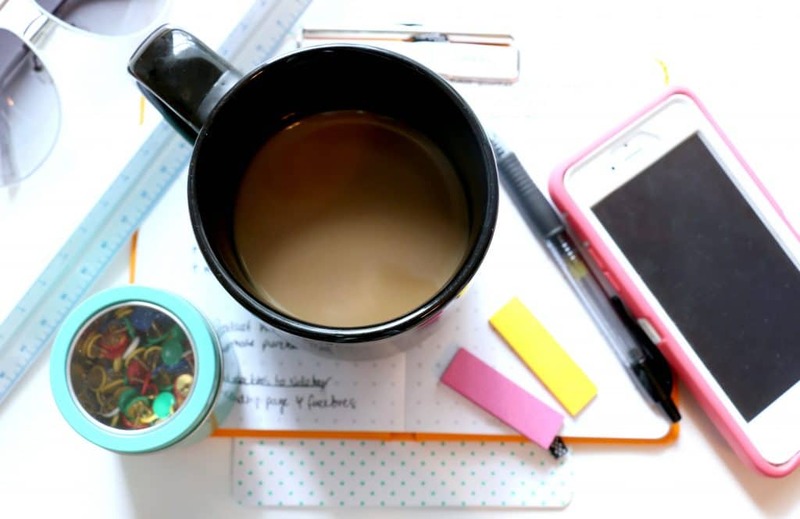 I want to give this system a try to help me organize my blog and life! And even though my site is focused on helping mom’s start blogs and make money (check out my first income report here! ), I also have a huge focus on time management. In my pre-mommy life I was an Industrial Engineer and anything with the word ‘productivity’ or ‘time management’ or ‘system’ just get’s me super excited! It ties in so well with the concepts from Lean I used when I was in the corporate world. What is the simplest solution you can use to fix your problem? What is flexible and inexpensive so you can iterate and improve? 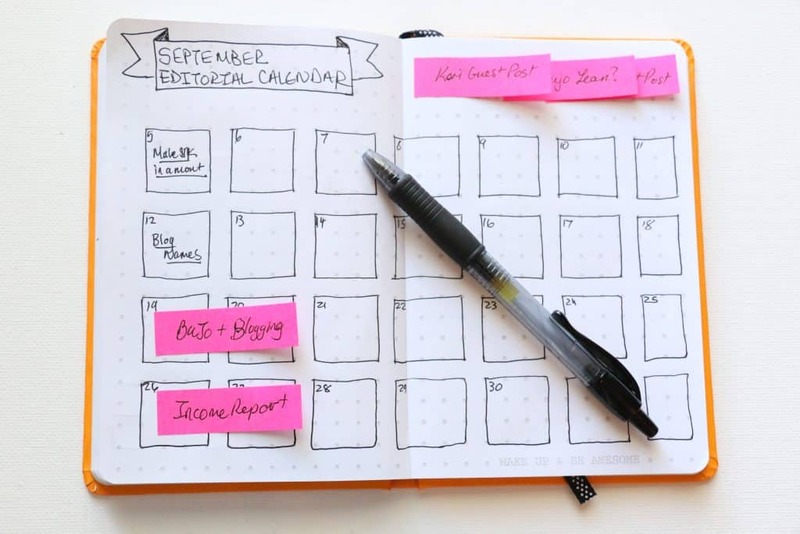 Instead of purchasing an expensive planner or journal (or a huge piece of new equipment to manufacture widgets faster), you customize the layouts as you go (you moonshine a solution out of creform). So they adapt perfectly to your life (or manufacturing line ;)). The bullet journal is a pull system. Instead of setting up push notifications, you, the customer, pulls the next tasks to do from your journal. Kaizen, “a Japanese business philosophy of continuous improvement of working practices, personal efficiency, etc.” is also a part of the bullet journal philosophy. As you use the system you tweak and adapt it to your life so it becomes more efficient. It has the ability to change with you, unlike standard planners and calendars. Having a list of all the tasks you need to complete gives you a great visualization of your work. 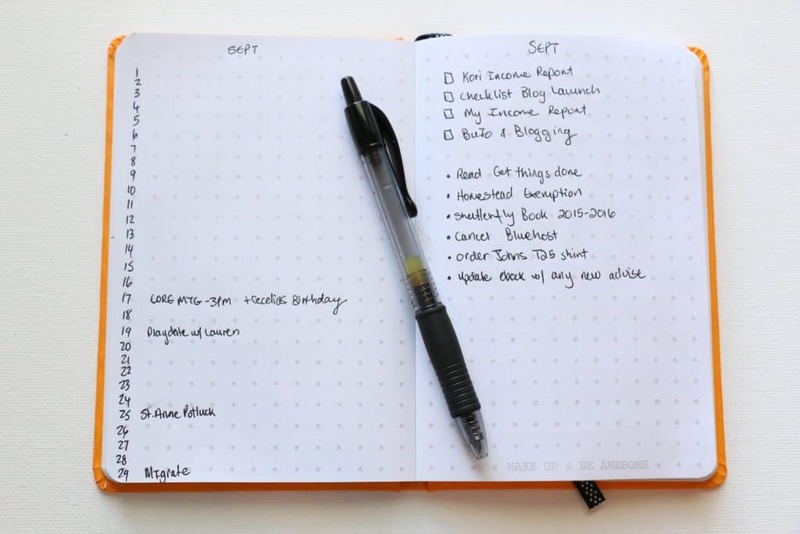 The bullet journal serves as your personal kanban board. It also shows your work in progress and if you’re taking on too much. If you’re more a digital type of person, Trello is amazing for creating personal kanban boards too! 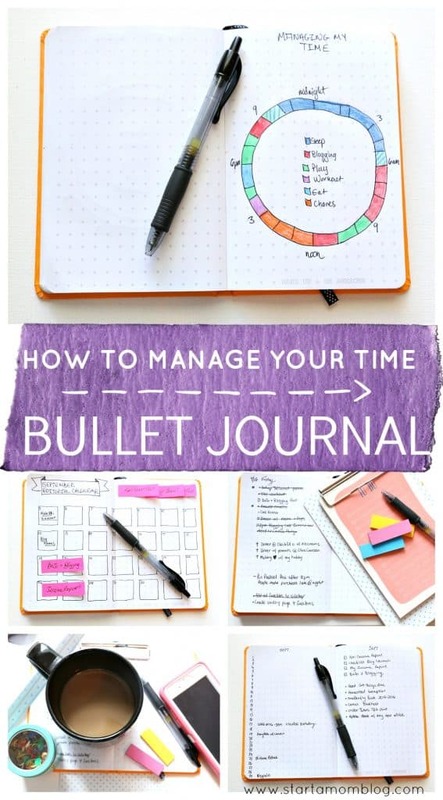 Additionally, the bullet journal cuts out waste. You’re not spending hours creating an organizational system hoping it will give you more time, which is ironic I think. 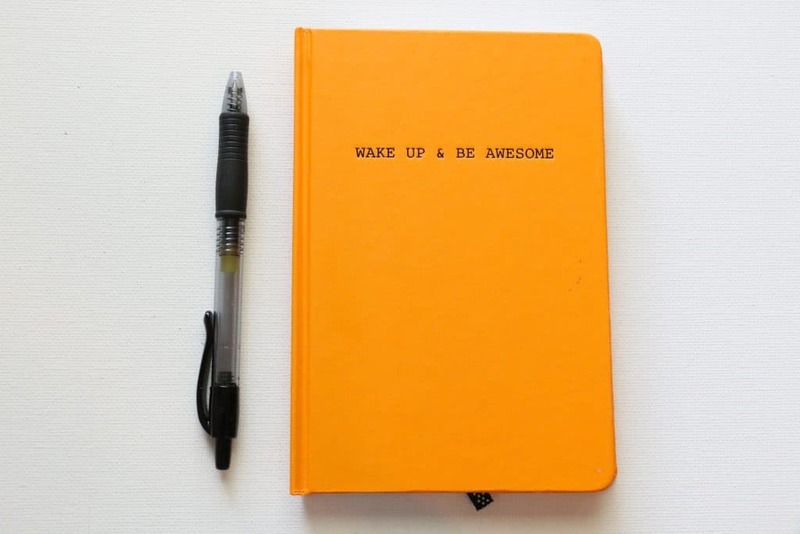 You’re using a notebook and pen to simply and organize your life. 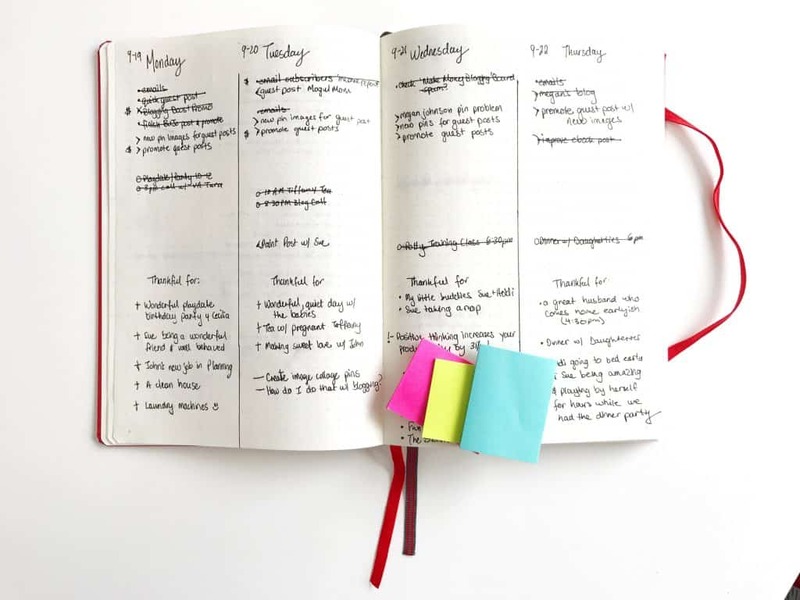 And the biggest way the bullet journal saves you time is through the migration process, where you only move unfinished tasks to the next day if and only if they are still worth doing. I liked the way this post described it too! I love that! As moms we already have SO much going on!  And if you are thinking about starting a blog and adding more to your already busy life, you need a system to keep it all organized. What I am loving about this new method of journaling is that it is systematic! And goodness I love systems. So now that I’ve completely convinced myself, and hopefully you too, that starting a bullet journal is super lean, I hope you will join me on this journey. Bullet journaling was started years ago by a man named Ryder Carrol in Brooklyn, NY. This journal was developed in order to adapt a means of keeping organized and sorting a lifestyle particular tailored to you and only you. 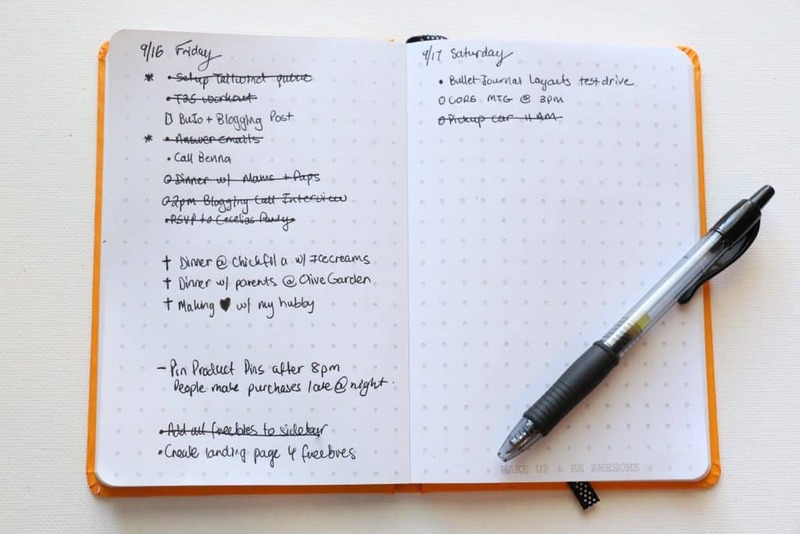 Everyone’s bullet journal can be different and that is what makes it so great. Add a topic to the top of your page. Number the bottom of your page. (Although the super pretty Leuchtturm1917 I just bought already has page numbers!) 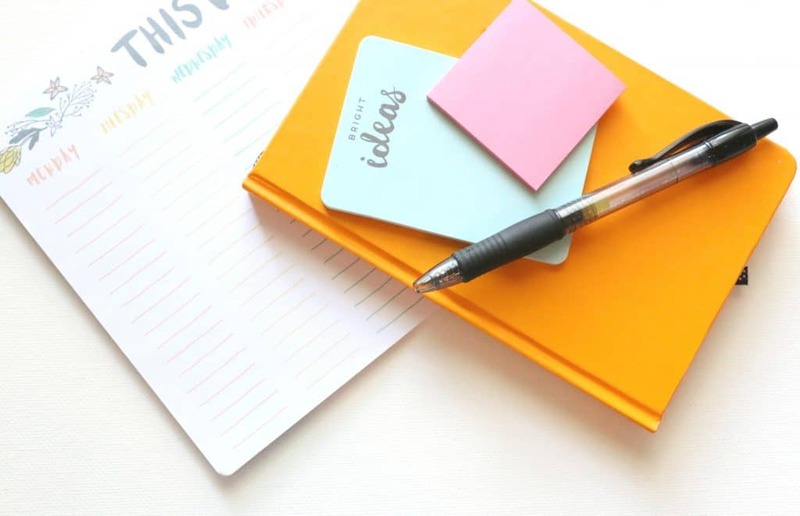 This allows you to dictate which pages are designated for what and makes it possible to create a table of contents (or an index – called in the bullet journal community) with quick references back to pages. Then add your tasks, your to do list, your million mommy things you need to do. But before you add a bullet next to each task, use ‘the right bullet’. Yes, this is the systematic part of bullet journaling that I’m loving. Tasks are represented with a bullet, just a circular dot. Tasks that are completed are crossed out. Events are represented with an O. Notes are shown with a dash. Add signifiers to incorporate an additional layer of priority in your bullet journal. Or add an exclamation point for things you amazing ideas or things you never want to forget. There are four main modules to the bullet journal. An Index – or a table of contents that allows you to easily navigate your simple yet powerful organizational system. 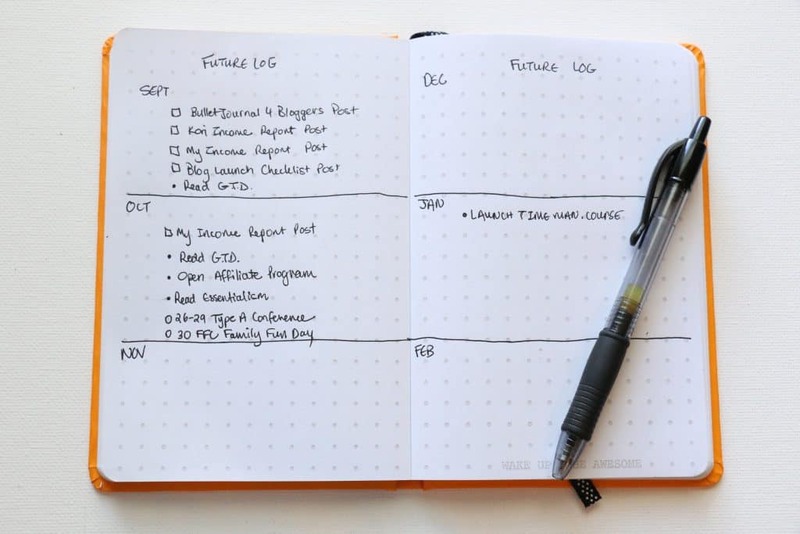 A Future Log – where you write down big events or long-term future goals. The Monthly Log – one page with a quick overview of all the events you need to do that month. Nothing elaborate, just the date and event. On the page next to your monthly log jot down your monthly task list. The Daily Log – create your daily log as you go, preferably the night before or the morning of. And use the awesome bullet system to organize your task list. I am adding little crosses as ‘Thankful/Gratitude’ items. So I can easily flip back through my days and see all the things I can be happy about! 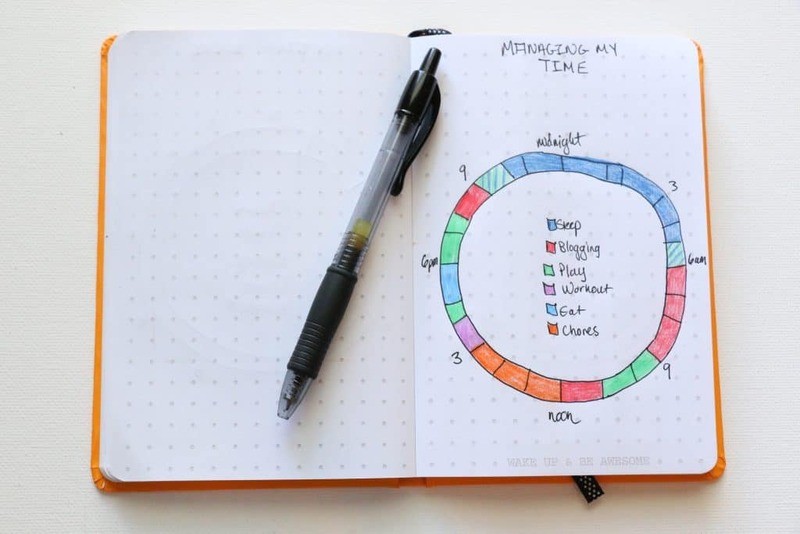 I plan to add a time tracker like the one below when I start my bullet journal journey. It will help me determine where I am spending most of my time. I may create one for a normal weekday and one for the weekend. I also plan to add an editorial calendar. This will be gold for planning posts for my blog. Once the post is published, I will remove the post it note and write it down in pen. This allows me to make changes on the fly. At the start of a new month, you have to migrate all of the uncompleted tasks from the previous month. Set up your Monthly log again for the new month and migrate any tasks you did not finish the previous month. I love that the bullet journal forces you to rewrite tasks you did not complete. This intentionally makes you think about that task and if it’s important enough to rewrite on your new monthly task list. If it’s not even worth it to rewrite the task, then it’s not worth it to do the task. That’s a little knowledge bomb right from the BulletJournal website. The migration method in the bullet journal is a huge time management tool. It is also very lean. As it forces you to get the waste out of your life and focus on your priorities. 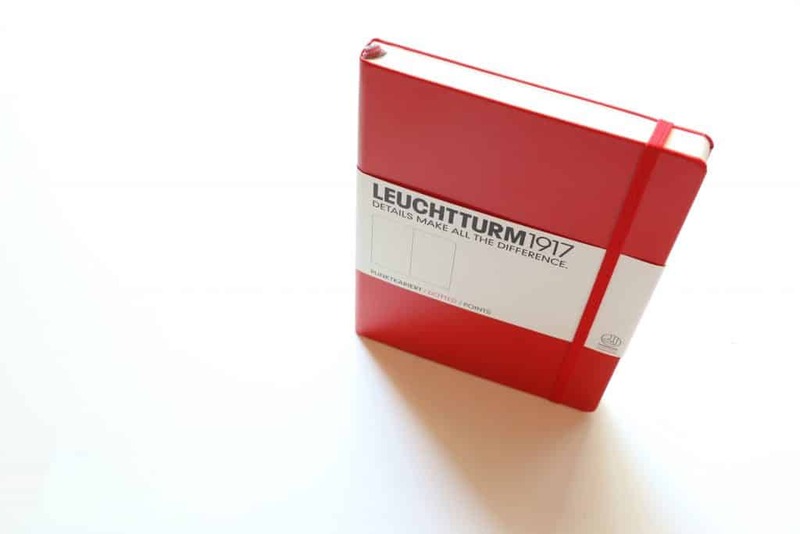 Okay, my beautiful Leuchtturm1917 dotted notebook has arrived (gorgeous picture below!). And I am starting to use it! I am already seeing the benefits of this simple, yet powerful new time management system. I will soon post a review of the notebook and my progress. What do you use to manage your time? If you love bullet journaling and need some inspiration I’ve put together a fantastical board of all things bullet journal here! You can be super duper creative with these items!! If you love bullet journaling and need some inspiration I’ve put together a fantastical board of all things bullet journal here! Let your ideas flow! !